Government and private foundations discuss how they fund people, projects, and infrastructure in support of R&D on validated and trusted STI models and standards. Abstract: Modeling and simulation are powerful tools for studying health and the role of research and funding programs in achieving health objectives. Almost all research involves some kind of conceptual model but these are often implicit, based on unstated assumptions, and have unknown relationships to data as well as unverified consequences. Much of the value of mathematical, statistical, and computational modeling comes from its forcing us to make our assumptions explicit. Moreover, the role and purpose of modeling are not limited to prediction or forecasting. Models also help us “explain observations, understand system dynamics, illuminate uncertainties, offer options for interventions, set boundaries of parameters and outcomes, discipline our thinking, and identify new questions.” The social science perspective is critical to understanding health, at both the phenomenological and mechanistic level. Not least because of the powerful direct effects of behavior on health but also because of the complex feedback between emotional, cognitive, psychological, and social phenomena and dynamics and biological phenomena and processes. Exploring interactions and emergent behaviors should include study of the context in which the behaviors and the system exist. This systems-level, multi-scale exploration requires a transdisciplinary, team science approach. To this end, the Social and Behavioral Modeling Research Program at NIGMS supports research in basic behavioral and social modeling that applies computational and systems approaches to the study of bio-related behavioral and social phenomena at multiple scales, ranging from genes to populations. The program encourages applications that bring together transdisciplinary teams of scientists with expertise in the behavioral and social sciences and in the computational and quantitative sciences. As part of its continuing effort to employ data-driven, scientifically rigorous tools to plan and evaluate programs to develop and maintain a strong and diverse scientific workforce, NIGMS is also pursuing a systems-based approach to studying the scientific workforce. The Scientific Workforce Analysis and Modeling (SWAM) program is a concerted effort focused on understanding the underlying dynamics that produce successful scientists, examining strategies for increasing the diversity of the scientific workforce, identifying questions in need of research, and guiding the collection and analysis of data. In addition other modeling initiatives across the NIH will be discussed, including extramural funding programs and in-house activities. 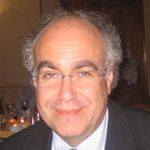 Bio: Stephen Marcus, Ph.D., is a program director in the Division of Biomedical Technology, Bioinformatics, and Computational Biology. Marcus is developing and leading a new extramural research program focused on social and behavioral modeling, but also looking more broadly at systems science approaches to health. He also leads predoctoral T32 and K99/R00 Pathway to Independence Awards in biostatistics and bioinformatics and computational biology and the Mentored Quantitative Research Career Development Awards (K25) program. 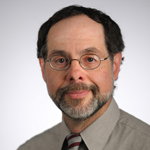 Before coming to NIGMS, he served as a senior epidemiologist in the Tobacco Control Research Branch, Behavioral Research Program, Division of Cancer Control and Population Sciences for the National Cancer Institute. He earned a B.S. in public health engineering and health sciences from Northwestern University, an M.P.H. in epidemiology and medical care administration from the University of Michigan, Ann Arbor, and a Ph.D. in epidemiology from the University of North Carolina at Chapel Hill. Abstract: As an integral component of the Air Force Research Laboratory (AFRL), the Air Force Office of Scientific Research (AFOSR) has the responsibility to discover, shape and champion basic research that profoundly impacts the future Air Force. The talk will provide an overview of the agency and its research focus areas. 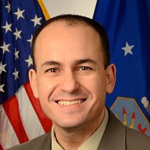 Bio: Dr. Riq Parra joined the Air Force Office of Scientific Research (AFOSR) in 2011 where he currently serves as a program officer with responsibilities over the development and technical oversight of the Ultrashort Pulse Laser-Matter Interactions research program. In this role, he is responsible for articulating the Air Force objectives in fundamental research and finding, reviewing, and funding excellent cutting‐edge research at universities to meet those objectives. 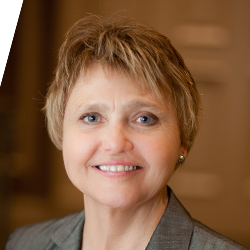 Before joining AFOSR, Dr. Parra spent over seven years at Booz Allen Hamilton serving as a strategic consultant to government science and technology clients, including the Defense Advanced Research Projects Agency (DARPA). In this role, Dr. Parra helped formulate and provide technical oversight over twenty basic and applied research programs in a wide range of technical areas including ultrafast lasers, high-energy lasers, atomic physics and nonlinear optics. Abstract: What is the rate of return on investments in basic research? How do the incentives, institutions, and inner workings of the research system affect those returns? Why is the market for scientists and engineers similar or different from other labor markets? Ideally, how would a social planner organize scientific research, rewards, and risk-taking? The Alfred P. Sloan Foundation actively supports rigorous research projects on questions like these about the economics of science. Bio: Daniel Goroff is Vice President and Program Director at the Alfred P. Sloan Foundation, a private philanthropy that supports breakthroughs in science, technology, and economics. He is Professor Emeritus of Mathematics and Economics at Harvey Mudd College, where he served as Vice President for Academic Affairs and Dean of the Faculty. Before that, he was a faculty member at Harvard University for over twenty years. Daniel Goroff has twice worked for the President’s Science Advisor in the White House Office of Science and Technology Policy, most recently as Assistant Director for Social, Behavioral, and Economic Sciences. Abstract: Safeguarding the U.S. and its allies from weapons of mass destruction (WMD) requires a coordinated approach to global situational awareness and assessment of technologies and threats, as well as cultivation of improvements in the ability to forecast emerging science and technology trends and their potential impact within this arena. In order for the Defense Threat Reduction Agency (DTRA) to meet these current and future challenges, a portion of current activities focus on improving the anticipation of technology-driven emerging and disruptive WMD threats as well as potential countermeasure approaches. I will share selected highlights of these activities within the overall context of DTRA’s mission, together with opportunities for new collaborations to address these challenges. Bio: Dr. Pate is a Science & Technology Manager at the Joint Science & Technology Office for Chemical & Biological Defense, Defense Threat Reduction Agency. He manages a $13M portfolio focused on (1) interactions relevant to human effects of advanced and emerging weapons threats and (2) identifying and controlling new phenomena to enable breakthrough countermeasures to chemical and biological weapons. He is an adjunct faculty member at the University of Maryland and has recently served as an instructor in biochemistry and in weapons chemistry at Northern Virginia Community College and the U.S. Naval Academy, respectively. Dr. Pate earned a Ph.D. in Chemistry from Indiana University, followed by postdoctoral training at MIT in Materials Science & Engineering. Prior to his current role, Dr. Pate was employed as a Visiting Scientist at the Air Force Research Laboratory, as a Senior Chemistry Specialist at Dow Chemical, and as a Lecturer in Physics, Chemistry, and Materials Science at Central Michigan University. Dr. 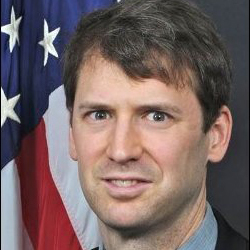 Pate recently served as Deputy Director for Technology Watch and Horizon Scanning at the Office of Technical Intelligence, Assistant Secretary of Defense for Research and Engineering, and he maintains an active interest in using data-driven analytics to improve S&T understanding, investments, and outcomes.